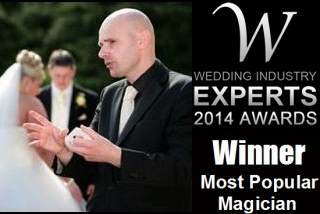 Make your wedding in London a magical day with the unique presence of man of magic David Fox! Do you want a wedding fit for a King and Queen? David Fox has performed magic in the presence of royalty at Her Majesty Queen Elizabeth II's Diamond Jubilee celebrations. Spectacular close-up effects are ideal for drinks reception time. Indeed, David will keep your loved ones in fine fettle during your photographs and can even deliver stunning table magic throughout the wedding breakfast! Sometimes couples may ask David to perform his enchanting and elegant parlour show of magic during the proceedings. Fantastic fully customised magical packages can be created by London wedding magician David Fox, for all types of wedding celebrations. 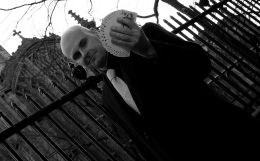 Regardless of guest numbers, timings and location, David's wonderful magic will always mystify!